From 2000 BC to AD 581, came and went six different dynastic periods in Chinese history: the Xia, the Shang, the Zhou, the Qin, the Han, and the Six Dynasties period. During this long history spanning about 2500 years, the royal houses ascended to rule one after another, and over the time their cultures assimilated with each other. By the Han dynasty, ethnically and culturally they had come to integrate into an almost indivisible one, ushering in a new era of unification. 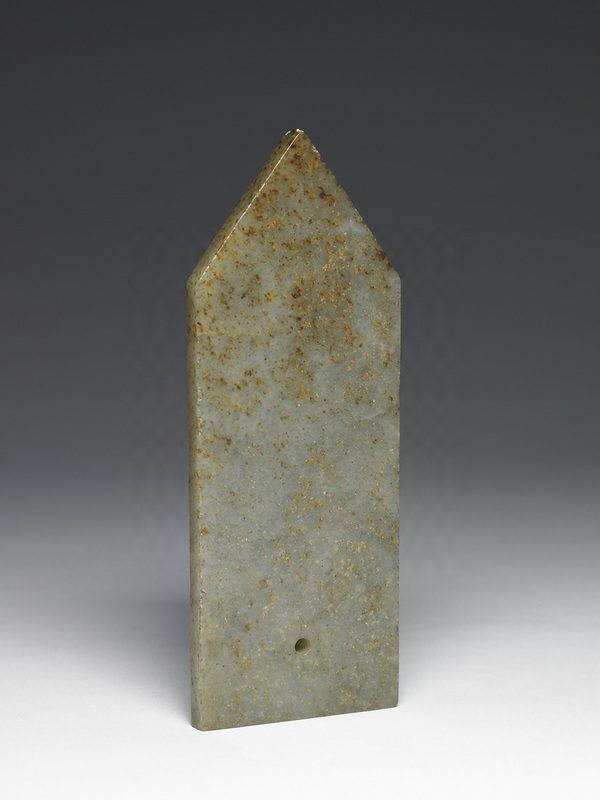 During this process, the earlier superstitious belief in the “spiritual nature” of beautiful jade was gradually moralized under the influence of humanism and Confucianism as society advanced. Back in the remote times, people believed that the Supreme God (called tian, Heaven, in the Zhou dynasty) sent divine creatures to endow life upon the ancestors of clans. Wearing jade carvings joined the vital force of beautiful jade with the magical power of divine creatures, enabling dialogues between deities and humans. In addition, jade manifested the innate qualities, i.e. “virtues”, of the wearer. Originally “virtue” was a neutral and amoral concept. 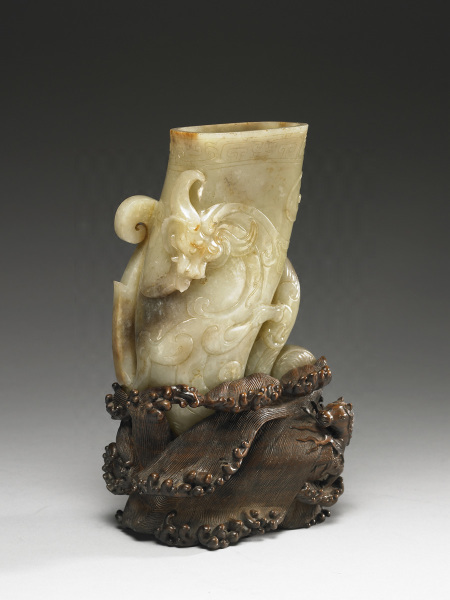 By the Eastern Zhou dynasty (770 BC-221 BC), however, the original aspects of jade ornaments had been long forgotten. 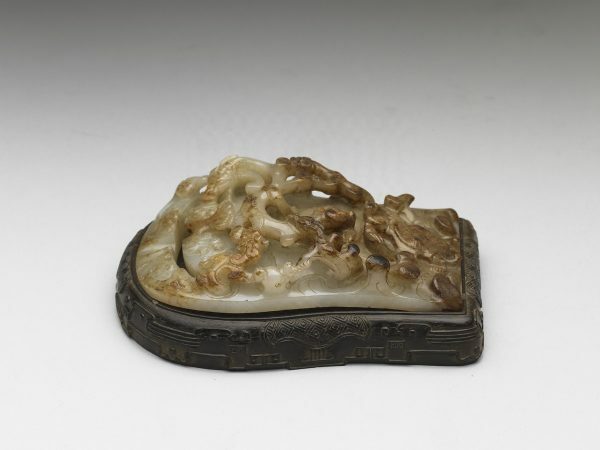 Confucians took a more rational view at the qualities of beautiful jade and associated them with the fine “virtues” of a junzi figure: benevolence, rectitude, wisdom, courage, and integrity. 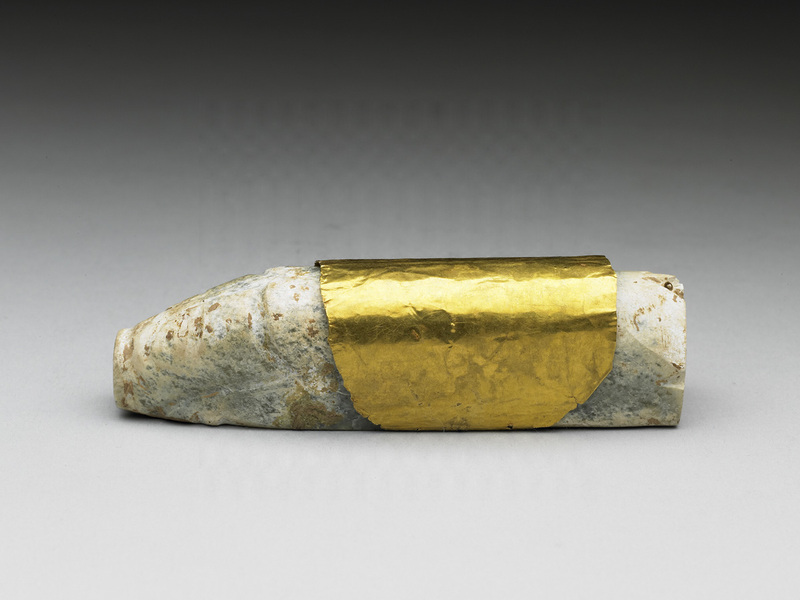 Junzi, initially meaning “rulers”, also transformed in the Eastern Zhou dynasty into “gentleman-intellectuals of high virtues”. 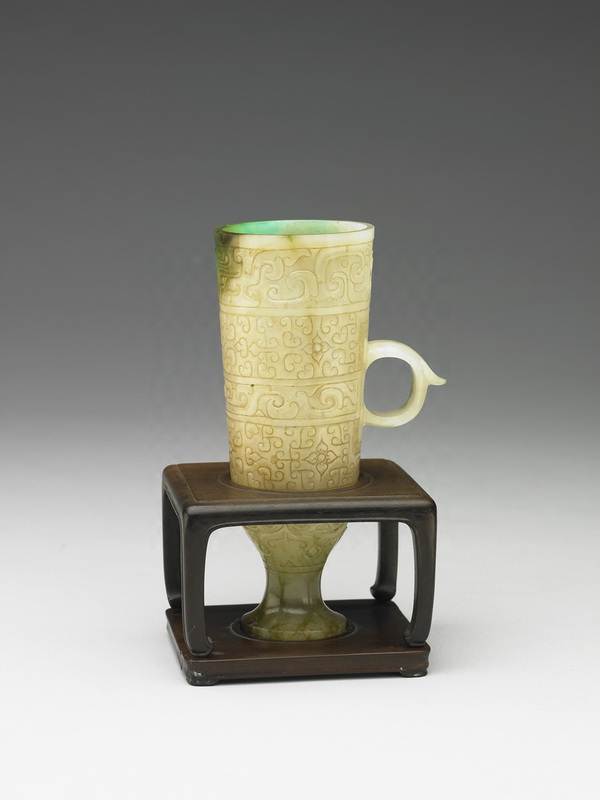 Over the long span of time, the pairing of Gui-and-Bi jades by the Zhou people became the core of Chinese jade ritual. The Han royal house came from Pei County in the Jiangnan region where the ancient Yue custom of “Jade Burial” originated; the practice reached its acme during the dynasty. 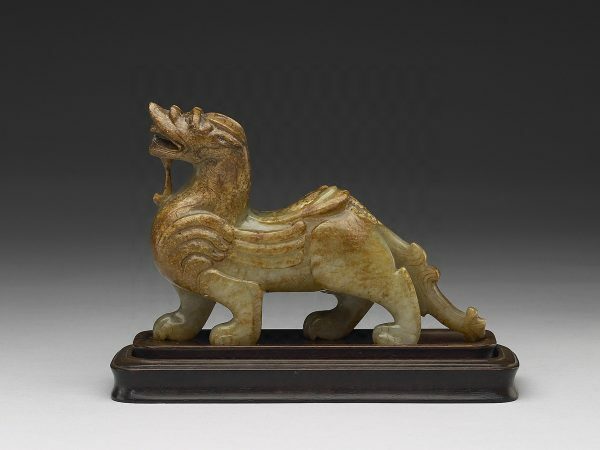 Foreign elements such as bixie (warding off evils) amulets and horn cups, reaching China, also adopted jade carving as the medium to exhibit their beauty and took up additional mystic aura that was distinctively Chinese. Based on information from the National Palace Museum in Taipei.